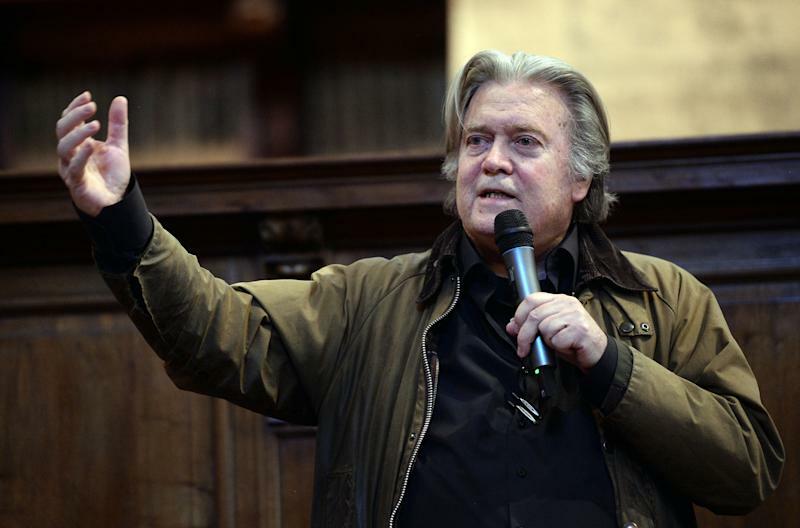 Bannon spoke to Yahoo News in Rome, the latest stop in his European tour aimed at forging a coalition of populist parties — while condemning Italy's new tentative agreement with China on economic cooperation, meeting with right-wing political leaders about the upcoming elections for European Parliament — the result of which he believes will push the European Union more to the right, and setting up an academy to train the next generation of leaders in populist, nationalist politics. In the course of two interviews, one on Friday (just before the Mueller report was handed over to Attorney General William Barr) and one on Sunday as Barr was releasing his summary of the report — which found no evidence that the Trump campaign colluded with Russia, as well as the decision not to pursue obstruction charges against the president — Bannon sounded off on a wide range of topics, including American and European politics. He claimed credit for predicting that Trump would be unscathed by the report and advising the president not to discredit it. "I kept telling him, 'Don't say Mueller's bad, I don't think he's going to have anything.’"
The upshot of the Mueller probe is that the left is "in tears,” he said. “On ‘Rachel Maddow,’ she went 10 minutes into her show before the words ‘no indictment’ crossed her lips. On CNN, they're in the mumble tank. They're crestfallen. They thought this would be it." Bannon, who left the White House in 2017 and has been on the outs with Trump over comments to author Michael Wolff, believes he inspired some ideas now circulating among the left-populist wing of the Democratic Party. Sen. Elizabeth Warren, who has the most ambitious policy agenda among the leading presidential contenders “is sort of stealing from me” in her proposal to break up and regulate the giant tech and social-media companies such as Google and Facebook; Bannon said he’s been pushing for them to be treated as public utilities since 2017. But even though Warren “is coming at this with some fundamental populist policies” that he believes will make many Trump supporters think, ‘I wish Trump was saying that,” he believes her presidential bid is doomed. He likewise dismisses Joe Biden — whom he describes as “too old, too tired and he’s lost his star. You’ll see peak [support for] Biden the day he announces,” he predicts, and he doubts the former vice president could hold up in “mano a mano” battle against the sitting president. He sees Kamala Harris as “a classic Democratic centrist with a career as a prosecutor who has been so pulled to the left, so quickly it’s surprising — and that’s an issue” and notes that Beto O’Rourke’s policies “are shockingly unformed.” Nevertheless, he’s betting that they will emerge, at least for a while, as Democratic frontrunners, forging an alliance with Harris as president and O’Rourke as vice president — in the short term, at least. But his most surprising prediction is that the Democratic candidacy will go to someone who ran in the 2016 election — and not Bernie Sanders. 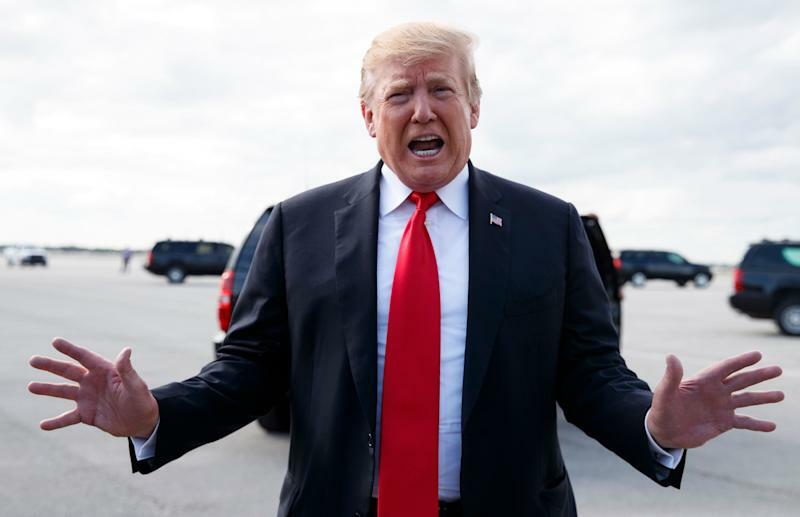 And despite “the gauntlet” of investigations that Trump faces, he believes the anemic Mueller report will deflate them — and simultaneously inflate the president. 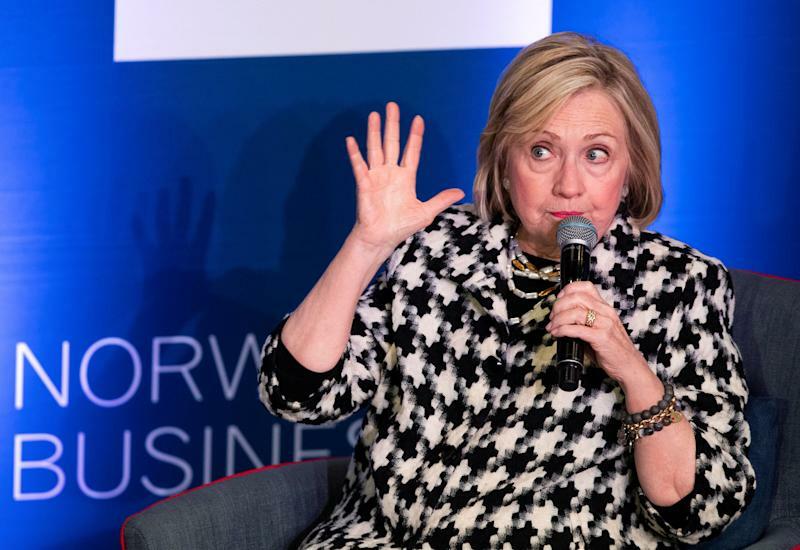 “If the Mueller report doesn't have details about obstruction of justice, Trump will say, 'We're not dealing with Jerry Nadler — here's a club, Jerry Nadler!’"
Nadler can request, Bannon noted, “but you've got to get the Justice Department to issue subpoenas ... And Bill Barr is going to be like, 'Guys, all the information you want went to Mueller, read the transcript.’"
He believes most investigations into Trump are effectively dead in the water. 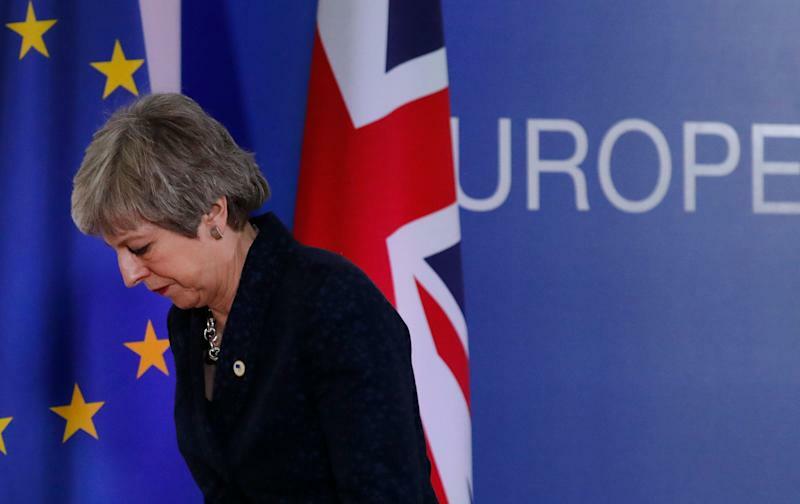 On one of the other big issues playing out on the world stage — Britain’s catastrophic negotiations to leave the European Union — he dismisses British Prime Minister Theresa May for ignoring Trump’s advice on playing hardball with EU. The long-winded negotiations have shown the Tories as “incompetent,” says Bannon: “It’s been a disaster, and you have to hold May accountable.” He foresees a “Hard Brexit” with no deal, despite the fear that idea is generating. “This fear campaign is the equivalent of Y2K — when everybody thought it was the end of the world, and we got up the next morning and said, ‘What was that all about?’ He predicts that on April 12, “they’re going to do a hard out, no deal, and the sun will come up the next day.” But May’s administration will be setting shortly thereafter. That is a subject near and dear to Bannon’s heart, and one of the reasons Bannon was in Rome: to speak out about China’s plans to bolster its economic power and technological muscle worldwide. “There are three things the Chinese are doing simultaneously,” he said. “That’s why they’re in Italy today.” Pushing an ambitious infrastructure project called “One Belt, One Road” that connects three continents by land and sea, they had successfully solicited initial support for a maritime Silk Road from China to Trieste, Italy. They also are planning a land Silk Road that ends in Turkey, he added. China is also pushing a program called “Made in China 2025,” which Bannon described as “the convergence of advanced chip design, artificial intelligence and robotics,” which will give them vast control of high-value manufacturing in the world. Finally, they are rolling out 5G, which will control quantum computing, he said. “Thermostats, lights, computers will all be connected through the Internet of Things,” he said. The problem, he said, is with 5G, “data becomes the new plutonium. Data can be weaponized against countries, peoples and individuals.” And according to Bannon, Chinese company Huawei is trying to “underbid every telecom company in the world” to dominate 5G and control the data it holds. And if there’s one thing Bannon is, it’s a visionary capable of seeing futures few dream of. After all, of Trump’s campaign team, it was reportedly only Bannon — not even the president himself — who believed that the real estate mogul might actually one day sit in the Oval Office.